Launched in 2015, Newport Integrated Learning Centre (NILC) is a leading provider of professionally accredited technical, business, project management and compliance training courses, computer-based certifications, venue hire and consultancy. NILC works throughout Wales and the South West to advance the knowledge and skills of individuals, organisations, government departments and enterprises through a comprehensive range of learning and development solutions from key providers such as Apple, Microsoft, Sage and PRINCE2. 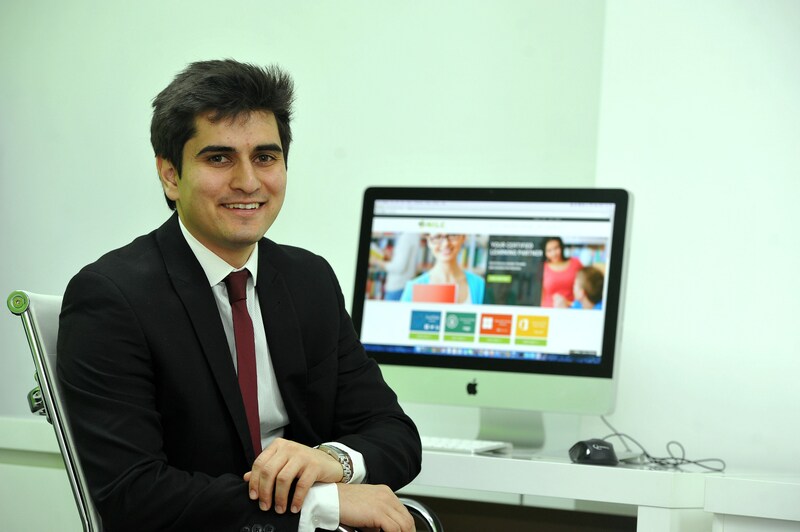 Karim Dastgir originally set up NILC Ltd. with support from the Welsh Government’s Big Ideas Wales programme. He found the mentoring he received through his Big Ideas role models really useful, prompting him to seek further mentoring support from Business Wales as he was looking at ways to take the business to the next level. "The one thing I wish I could do differently would be to have started sooner, as the sooner you start, the sooner you make the mistakes which help you learn and progress. Whilst it is important to know the market you are going into and your own personal circumstances, don’t keep putting it off because you’re waiting for the perfect moment, as something will always get in the way." – Karim Dastgir. "I have been fortunate enough to have had many proud moments since starting NILC, from securing our very first customer to taking on our first employee. However, the standout moments for me are always when customers go out of their way to let me know directly how happy they are with the service they had received or how we have given them the confidence to progress into a new career. It may only be small, but it is the bit that makes me the proudest about what we do." "Unfortunately, to date we have had very limited use of the Welsh language in our business. We have a few bilingual signs/notices in place, but not to a great extent. In future, I would love to be able to offer our courses through the medium of Welsh as well as English." Karim approached the Welsh Government’s flagship business support service as he was looking for a mentor with an online marketing background who could support him with managing his cashflow, marketing and online trade issues. He needed a mentor with experience in taking a business to the next level, someone who has started out small and has grown the business. Karim said: "After realising I needed help to progress NILC to its next level, I came across the Business Wales mentoring service. From the outset, the Business Wales advisers were open and honest, and I was able to confide in them over a number of initial meetings, outlining what I was hoping to achieve from my business. From these meetings, Business Wales aligned a suitable mentor to my business goals and introduced me to Chris Birch. From our very first meeting, Chris was extremely approachable and relatable as he had been running his own business for several years which had grown significantly. I was able to tap into Chris’ expertise and he has provided constructive guidance from his own experience that would help NILC grow. Since starting the mentoring programme with Business Wales and Chris, NILC has won several new contracts and we have taken on an additional 3 employees, which is a testament to the support and advice I have been given."